This weekend, while Daddy was out cycling, Dexter and I had a comfy and lazy Sunday morning in bed, eating breakfast and watching TV. 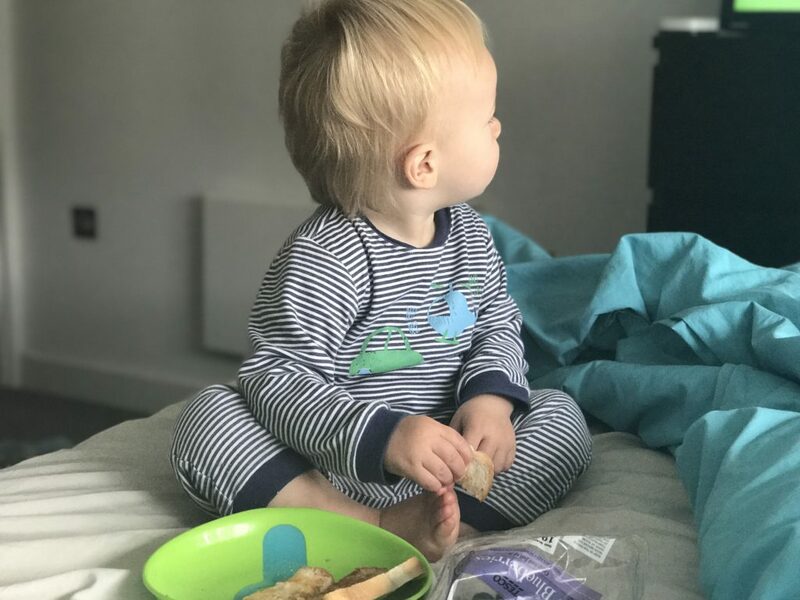 Now that he is a fully fledged toddler it is so nice to spend lazy mornings in bed with buttery toast and blueberries, cuddling and giggling and singing along to our favourite nursery rhymes. ‘Row, row, row your boat’ is probably Dexter’s fave. I love a good lazy morning at the weekend. Row, row, row your boat is a favourite in this house as well!